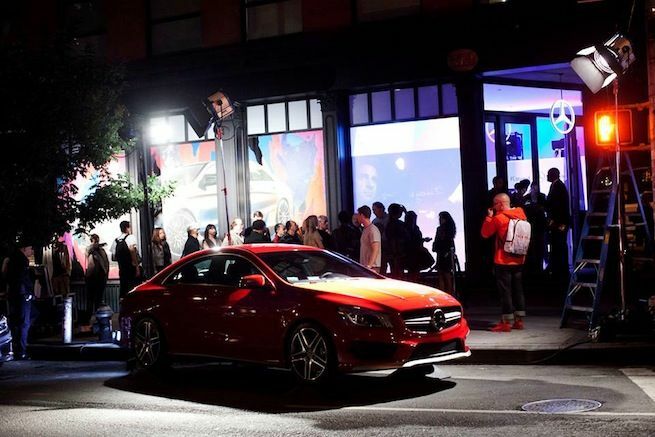 It’s the last day to see the new 2014 Mercedes-Benz CLA-Class "Untamed" display in New York City. Untamed, the exhibition inspired by the new 2014 Mercedes-Benz CLA, started in Paris and travels to New York City. It’s the last chance to check it out today. The Untamed display has made its way from Paris and ends today in the Big Apple. The display runs from October 9th to 14th, 10am-6pm at The Avant/Garde Diaries Project Space 372 Broome St., Ground Floor, New York, NY 10013. It’s a brilliant marketing campaign by Mercedes aimed at attracting a new generation of global buyers. Mercedes-Benz is getting new global buyers involved in the new CLA-Class by having them use the social media Instagram. The digital photo installation Untamed originally opened in April in a Mercedes-Benz pop-up store in the center of Paris, France. It’s now in New York to get potential buyers involved in a display of hundreds of personal photos taken by Instagram users from around the world. How does this reflect to new buyers what the new 2014 CLA Class is all about? The new CLA-Class just recently launched here in the U.S. and the marketing done by Mercedes is working. The CLA in the first 10 days, the new premium compact sold over 2300 units. Mercedes fully expected the new stylish four-door coupe to be a hit with younger buyers, and its already a big hit for the German brand. In the press release, Steve Cannon, president and CEO of MBUSA said, "We're making history this month and not just in terms of our record sales pace, September marked a recalibration moment for Mercedes-Benz as we began delivery of our new gateway, the CLA, to dealerships across the country. We're confident the CLA will be a driving point of our success as we head toward another banner sales year." If you are in New York City today, check out the new 2014 Mercedes-Benz CLA-Class Untamed display.